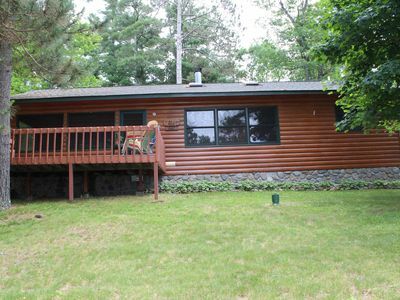 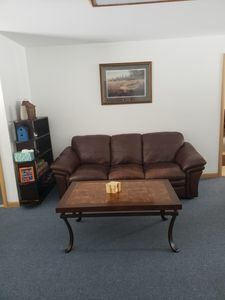 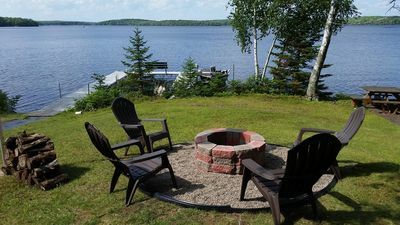 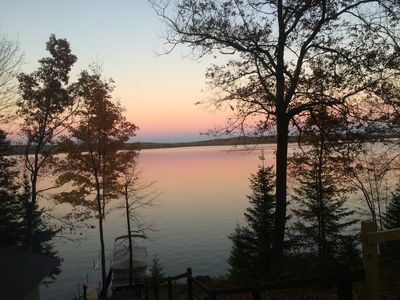 Welcome to Sandy Lakeshores located on the beautiful Lac Courte Oreilles in Hayward Wisconsin! 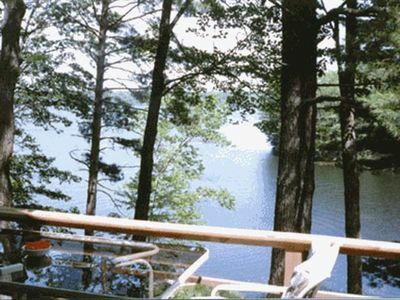 This privately owned vacation retreat is in a bay with sandy shoreline perfect for swimming and relaxing. 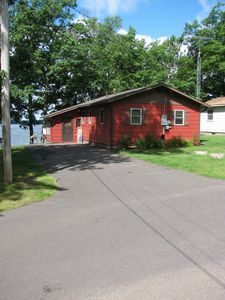 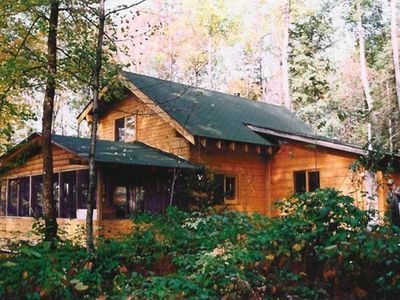 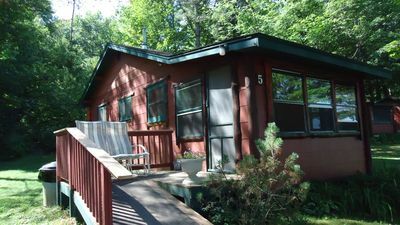 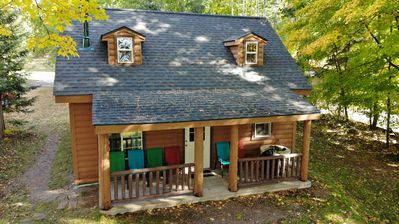 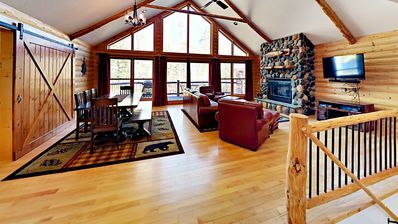 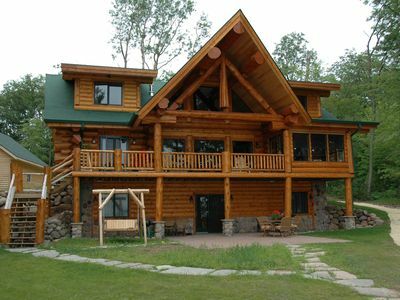 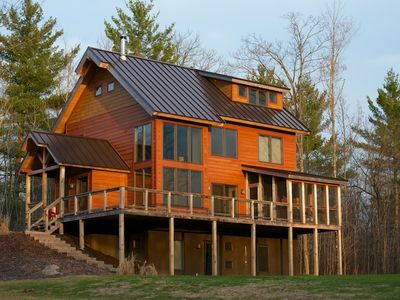 On the vacation property there are two cabins, a lakeside cabin and a lakeview cabin available for rent. 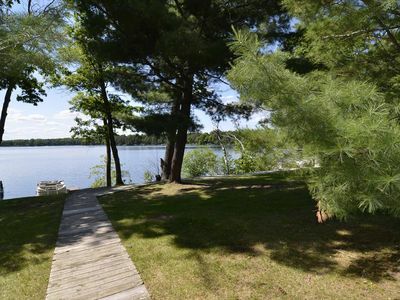 There is also and 84 foot dock with ample space a boat and pontoon. 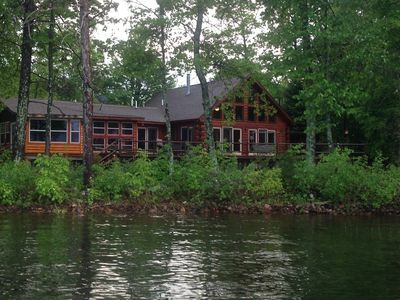 Lac Courte Oreilles is 5,038 acres in size and is known for its trophy Musky, Northern, Walleye, Bass, and Pan-Fish. 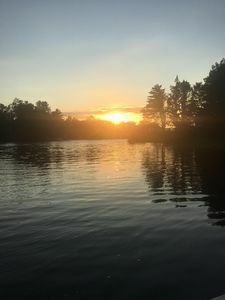 Nearby is a small creek from Grindstone Lake that is great for canoeing. 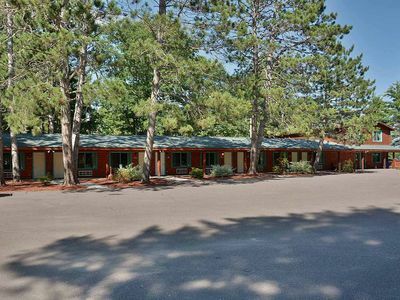 The Hayward area is well known for its many tourist attractions including the Fishing Hall of Fame, Al Capone's Hideout, and various Festivals and activities including the Musky Festival, and the Lumberjack World Championships to name a few. 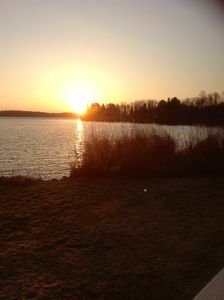 The Hayward area is also referred to as "Golf Capital of Wisconsin" as it is home to many beautiful courses. 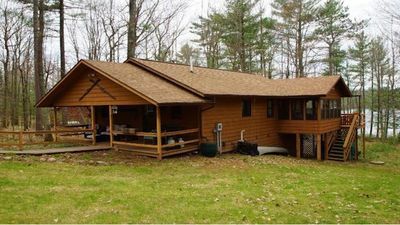 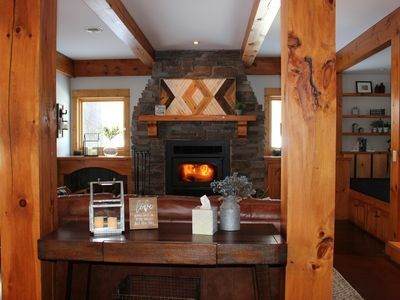 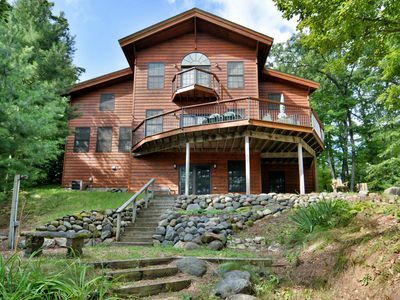 Cozy, private, woodsy retreat; clear water, sandy bottom, close to bike trails! 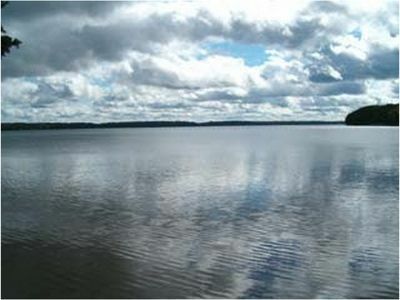 The View on Peninsula Road - NO pontoon included.